A solution built on over a decade of experience and intelligence gained from penetration testing and advanced threat mitigation. All-inclusive, fully integrated cutting-edge solution with world-class event monitoring at its core. HACKNOWLEDGE is a Managed Detection and Response (MDR) services company. We monitor your network 24×7 and our expert security engineers detect and respond to threats using our cutting-edge VISION Cyber ManagementTM solution. We are an extension of your team. Hacknowledge IDS merges binary and behavioral analysis with threat intelligence. Our security team continuously updates the IDS solution with the latest threat intelligence, protecting your network from emerging threats. Hacknowledge SIEM collects, normalizes, and correlates your logs to help you effectively detect and respond to emerging threats. We apply threat intelligence, expert rules, workflows, and proprietary processes to drive investigation. Our Sandboxing and File Analysis technology will help you detect malicious content that threatens your network. These threats can be from any source including online file sharing, portable file storage devices, and files from outside your network. Our custom sensors are developed to provide visibility to your network. They are scalable and as many sensors required can be added in order to provide a holistic view of your network in real time. Our custom sensors also bring in security features such as IDS, vulnerability scanning, honeypot, file analysis, and more. 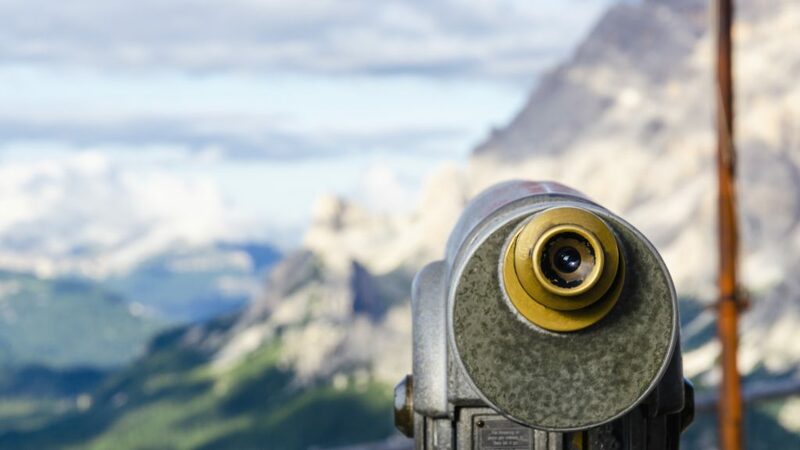 Armed with intelligence about how, why and by whom you are being targeted, your team can better mitigate threats and build a proactive defense strategy. Hacknowledge monitors specific websites 24/7 to gather intelligence and information about potential attacks. 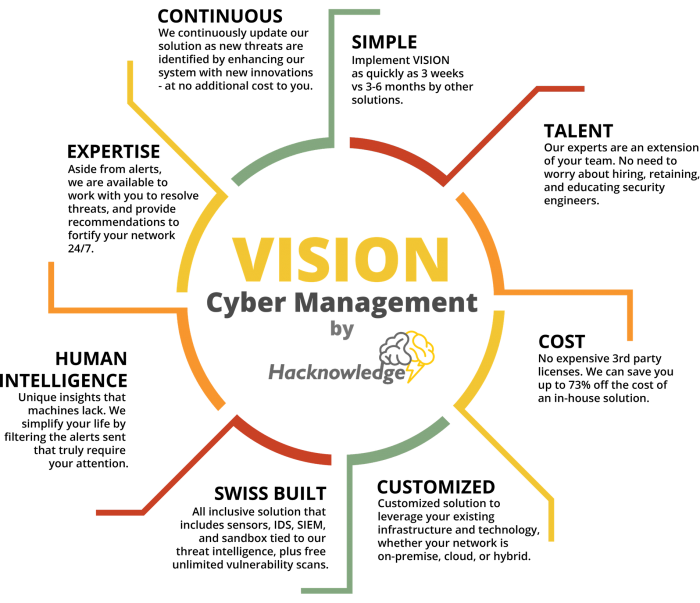 Hacknowledge offers vulnerability scanning to help you gain insight into your network security risks, then provide professional advice to help you with remediation efforts. 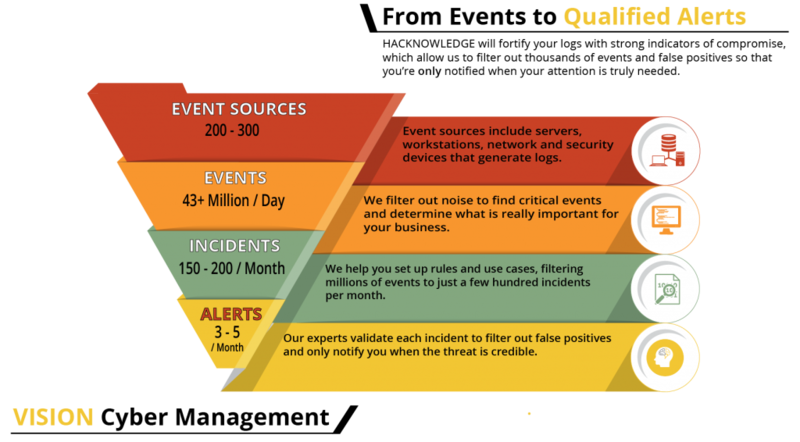 Our sensors can run vulnerability scans that will help prepare your threat reports and tune the IDS. Our clients span across many different industries, including: Municipalities, health care, global organizations, sports, oil and gas, financial services, banking, luxury goods, insurance, gaming, and many more. Due to the sensitive nature of our services, many of our clients prefer not to be publicly listed. Further details are available upon request.